A perusal of the main news media finds that, except for the Hawara attack, the stonings were barely reported, if at all. As of 18:30 on Monday evening, at least 14 rock attacks had been perpetrated against Israeli targets since morning, reports the Hatzalah organization of Yosh (Judea and Samaria) and the 0404 website. In one incident, a car driving through Hawara, an Arab town near Itamar and Yitzhar and north of Tapuach, was targeted by Arab rock-throwers and sustained damage. No one was hurt. 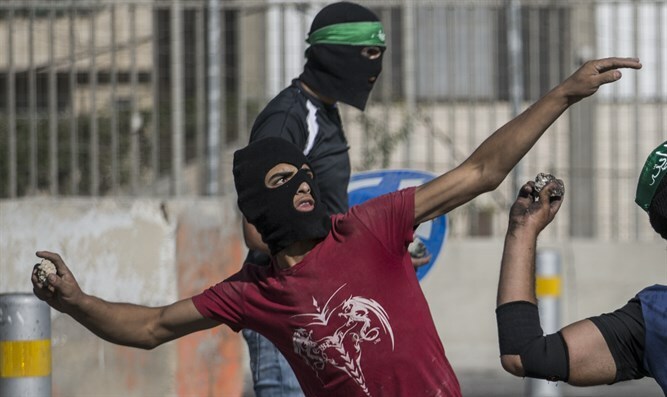 Israeli Defense Force soldiers were targeted in several of the attacks. Attacks took place between Azoun and Maaleh Shomron, between Avnei Chefetz and Te'enim Checkpoint, near Halhoul in the Hevron region, near Hizme between Jerusalem and Adam, at the Amos Junction near southern Efrat, and elsewhere. A perusal of the main news media finds that except for the Hawara attack, the stonings were barely reported, if at all.